We are an independent Anglican Girls' School in Brisbane, Australia. The users/audience of these products includes teaching and support staff and our students. Our students range from Kindergarten to High School/Year 12. Thank you all for your great submissions. I will award the prize very soon. Keep an eye out for our future contests as many of you presented great work and we would like to see you enter again. Please, Check #17 #18 #19 #20 waiting for your feedback. I am here to improve sport in which I add a logo image balls, and rugby. 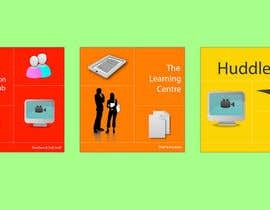 then I improve on the collaboration hub. where I made three pictures of people. the person on top was a teacher and two images below serve as a student ..
the image is connected as a table. Where students and teachers can be connected as in a table even if it is virtual. 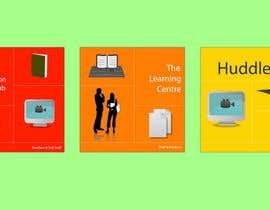 *The use of a book as a symbol for 'learning' is a common choice but I would love to see something that shows that The Learning Centre is about eLearning & collaboration too. I think #2 is on the right track with this. 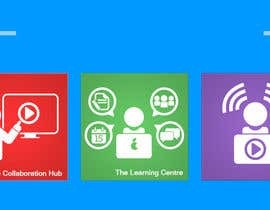 #2 is good because it includes many things that can be done in SharePoint which we use for The Learning Centre. *I like font that has been used which is also used by Microsoft. I think this looks nice, well done #2 , #3 and #6 for trying that idea. I like it. I hope this feedback helps. Only 1day to go! Thank you for all the entries so far. Here is some feedback for all designers. *I think that having all tiles square such as entry #1, #2 , #3 and #4 is good. *Sub-text is not needed. 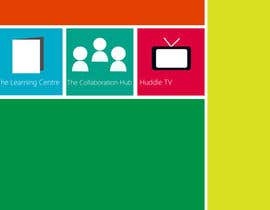 The titles on their own are fine: The Learning Centre, The Collaboration Hub, HuddleTV. Sometimes a good icon doesn't need a title if the images show the theme well. 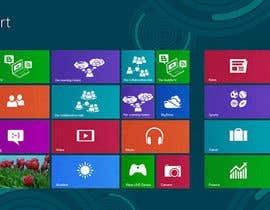 *I like the solid colour backgrounds and it is interesting to see that many of you have chosen to use the colours that Microsoft used in the Windows 8 UI. I think this nice. If the colours look good with the theme of your tile I am happy with that too. Can you have a look at your PM. I don't want to submit my design otherwise other people may see it and copy it. Thanks for providing that advice. Hope to see some entries soon. 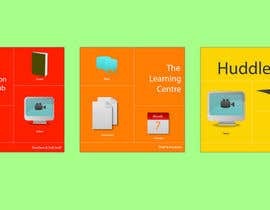 Thanks for your entry TheFlowFX, The puzzle pieces for The Collaboration Hub are an interesting idea. I think it would be best to keep the icons all square. I know there are long tiles in Windows 8 though, but as our initial use for them is on the web it might be better to have a consistent size and shape. Hi sivakf, I think the sections within the tiles is an interesting idea. It would be interesting to see this design re-worked without the smaller text, Eg. without the words, calendar, guides, etc. Also one of the icons is slightly mispelled. 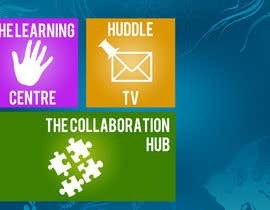 The Collaboration Hub is the correct spelling. Thanks for your entry. Hi yam1231, your entry is very similar to the one Michael45 uploaded first. 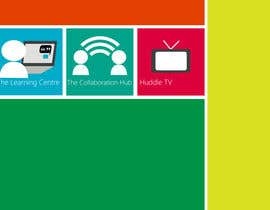 One of the icons has the wrong name on it, the product is called 'The Collaboration Hub'. Thanks for your entry Michael45. This is a great start. I would love to see the integration of the idea of collaboration, communication and interaction as well as the concept of document management. I like the gradient on the tiles as long as it is in a style that we will be able to extend from easily in the future. For example if this tile was placed in the banner section of a site, or elsewhere. I guess if we have the file as a .PSD, .AI, that layer can be hidden as required. can you please provide details of size of the square? 256x256 looks right to me and appears consistent with the win8 UI/UX guides. We are not using the tile in Windows 8 immediately so we don't need the wide tile, or notification functionality, etc. Thanks for your question. Looking forward to seeing entries soon. you want the tile to be coded or just design ? Just the graphic design is fine. We aren't implementing it as resizing or dynamic tiles at this stage just static images. Alternate representations, rollovers, etc might be good after we choose the best overall style, but they are not essential at this stage. As our project progresses we would need further graphics created to compliment these and possibly some assistance in UI/UX design.